I would not have loved to do this but circumstances have made to. My name is Ndianabasi Ime Tom, I am currently a final year student studying Petroleum Engineering in the Federal University of Nigeria. 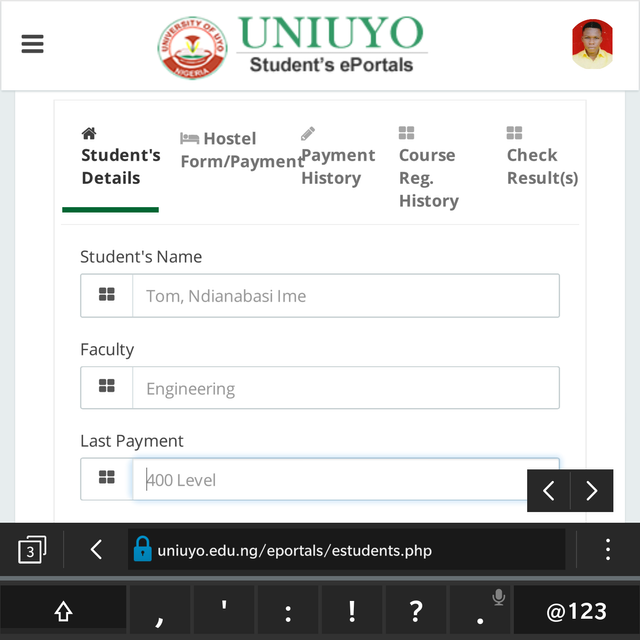 Currently, the first semester is ongoing and registration is on. The reason I am making this post is because I have difficulties paying my school fees due to the lack of funds! My mom who was my sponsor happened to die a year ago and I've been struggling alone with the help of steem. But now that, the steem price is really down, the little I earn here is not enough to cater for my fees. 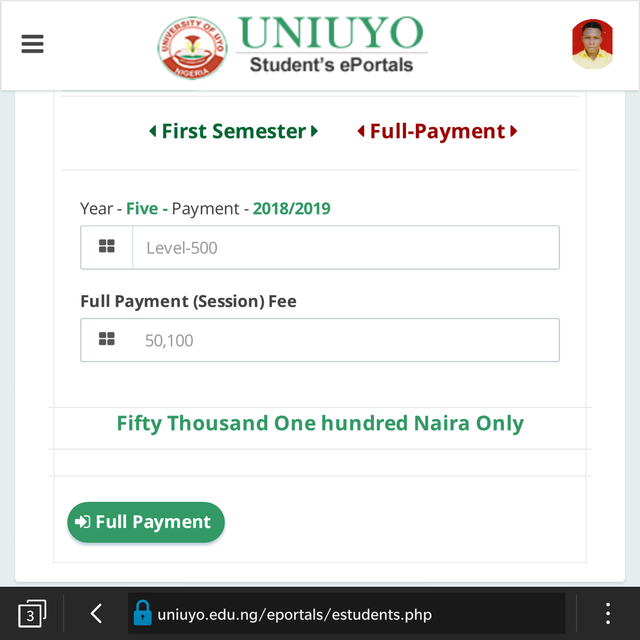 My fees this session is 50,000 NGN which is equivalent to about 167 SBD. I have not been able to make upto that amount, hence my request for help for the Steem community. 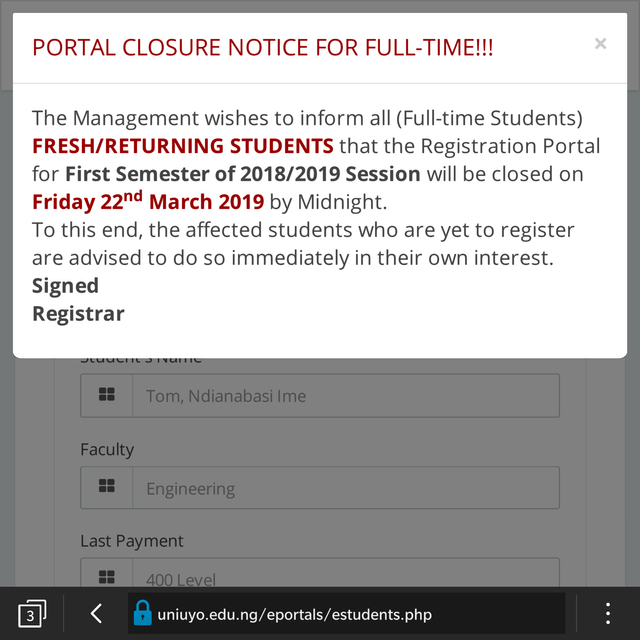 The school's registration portal had announced its closure to be on the 22nd of March, 2019. Assuming I'm not able to meet up this dead line, it means my 4 years so far will be in vain. Owing to this, I seek for help!! I use this medium to solicit for your support and help via donation and upvotes. It will really mean a lot to me. Thank you in anticipation. This is so sad and I understand what it means to be in this tight condition. I'm calling on every steemchurch parishioners most especially the Nigeria parish and every other steemians out there to help our brother to achieve his dream. Thanks for your conern FF! This is really sad but I pray that God will provide for you. More help will come, but don’t lose faith brother!